Are you having a global presence for your business and wondering on how to integrate each and every vertical with one another for smooth processing of business deals and seamlessly keep a track of all of them? Welcome to NetSuite Oneworld, the one-stop solution for all your requirements. different currencies and taxation rules from country to country. 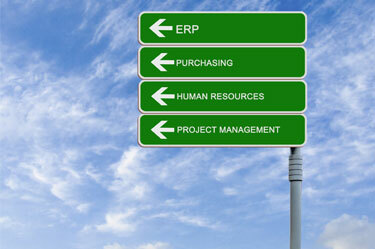 Global ERP: NetSuite OneWorld is capable of handling Enterprise Resource Planning (ERP) across various countries. It means taking care of your back-office operations both globally and locally would be a piece of cake now. Moreover, NetSuite OneWorld is also capable of handling multiple currencies pertaining to real-time financial consolidation resulting in an efficient, compliant and consistent management throughout the organization. Global CRM: Keep track of your multinational sales through the click of a mouse with NetSuite OneWorld financial ERP. Be it handling multiple currencies, languages, forecasts or campaigns, you can manage it all. Global Ecommerce: Not only ERP or CRM, you can conduct business throughout the world with this cloud based solution that supports multiple languages, currencies and brands and could be run from a single point. Global Services Resource Planning (SRP): NetSuite OneWorld SRP provides one of its kind platforms for global services business and real-time tracking of ongoing projects ranging from corporate level to individual ones. It also integrates global financials, resource planning other management capabilities. Global Business Intelligence: Given the fact that right information at the right time is the key to the success of a business, NetSuite OneWorld's real-time reporting feature can go a long way in ascertaining sustaining growth for a very long time with an access to world-class business intelligence at the click of a mouse. NetSuite OneWorld comes for a monthly subscription of $499/month + $ 99/month/user. A Free Trial is also available without any financial obligations. In a nutshell, if your business is growing and maintaining different software systems for different tasks is becoming a cumbersome process to cope with, shift to a cloud based ERP solution like NetSuite OneWorld and see your business grow by leaps and bounds. It would also mean cutting down on costly hardware as one can have access to all the data using an internet connection, saving you plenty of money which would have a positive effect on the overall balance sheet of the company. We also provide NetSuite OneWorld Training for your staff to make them accustomed to the nitty gritties of the application.